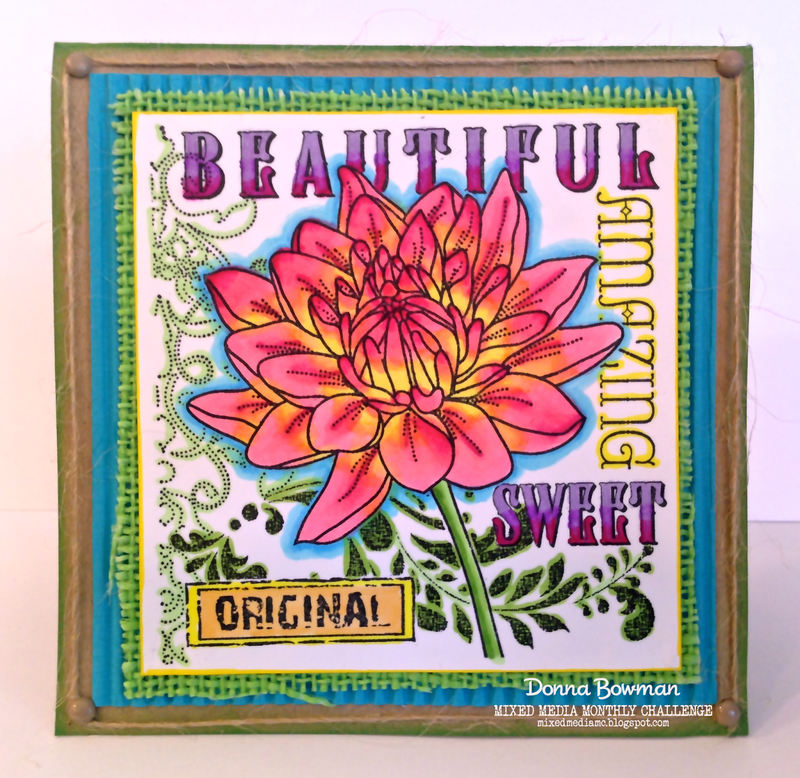 Still Time to Play in our September Color Challenge!! We would like to thank everyone for your support in our 4th challenge! 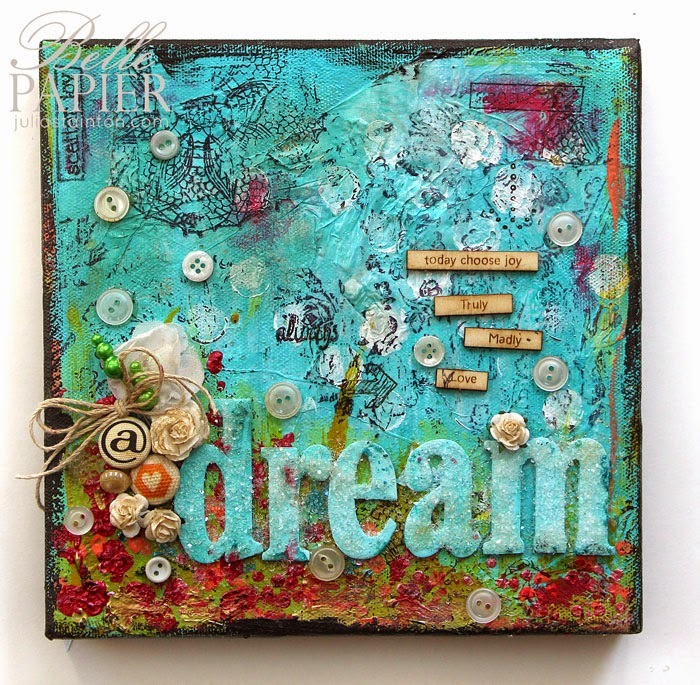 Our gallery is filled with beautiful and inspiring mixed media creations based on the great inspiration photo! We just want to remind you that you have until midnight EST on Tuesday, September 30th to link up to our challenge- Photo Inspiration. That's 5 days away! Our random winner will receive a $25 gift voucher from our sponsor Ellen Hutson. 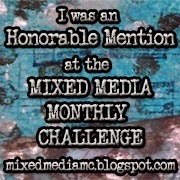 Our design team will also choose a winner and honorable mentions who will be able to proudly display our badge on their blogs. Winners will be announced on October 5. Our new challenge will start Wednesday, October 1 and run through October 31 so be sure to check back next Wednesday, October 1 for our new theme, sponsor, and guest designer!! It's going to be an AWESOME month!! Also, did you know that we are on social media?? Here are all the places you can follow us for mixed media inspiration, techniques and challenge reminders. And, be sure to follow our blog!! 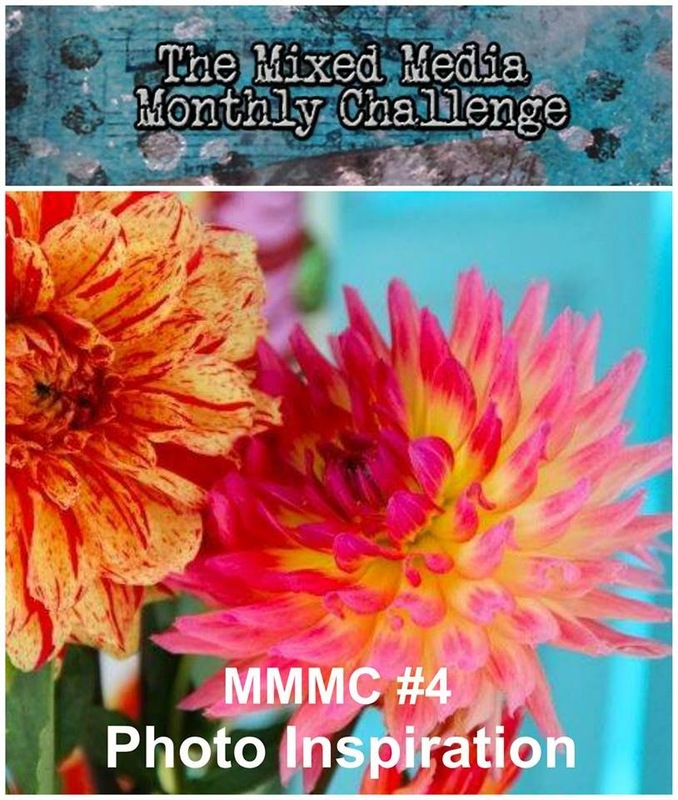 We look forward to seeing your amazing creations inspired by the colors in our beautiful inspiration photo and having you join us for our fifth challenge starting October 1! Today is a special day. 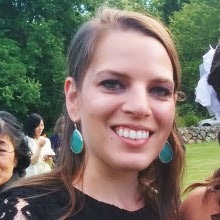 It's our designer Rachel Kleinman's birthday!! We wanted to wish Rachel a very happy birthday and let her know just how much we think about her. 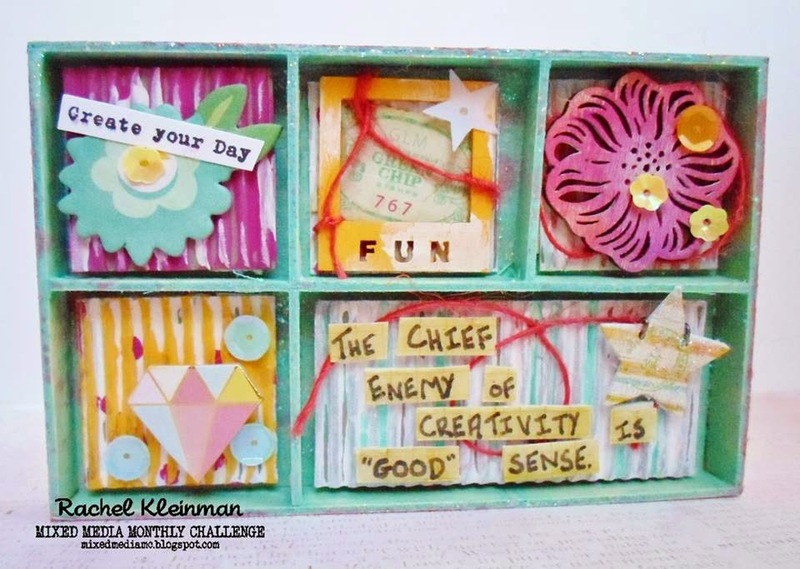 So, the Mixed Media Monthly Challenge Design Team decided to have a little blog hop where we each share a birthday card we made for her. Please be sure to check out the hop say hi to our designers. And then go to Rachel's blog www.rwkrafts.com and wish her a happy birthday there. She would love to hear from you all. 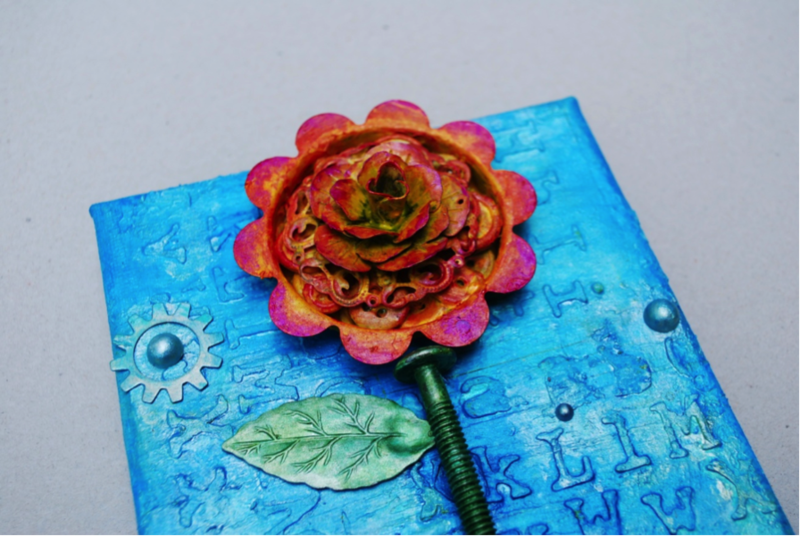 Below is a list of the Blog Hop order. Please hop along and join us in wishing Rachel Kleinman a Happy Birthday!! When you're finished hopping be sure to check out our September Inspiration Photo challenge. 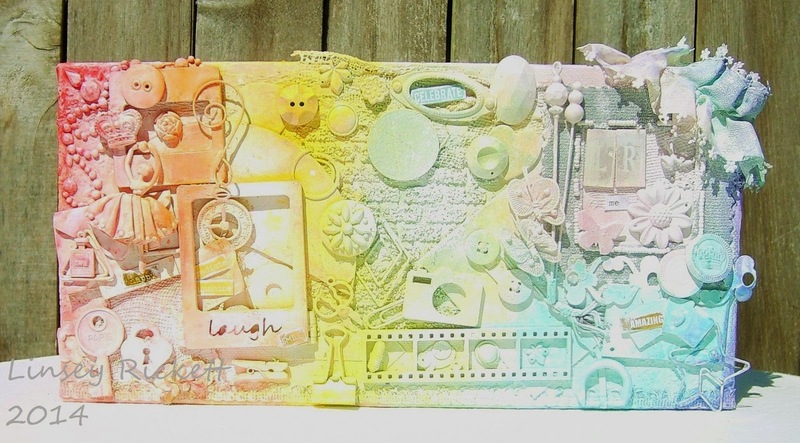 Then go create a mixed media project based on the inspiration colors. We can't wait to see what you make. You have until September 30 to enter. And, our sponsor this month is the amazing Ellen Hutson. One lucky random winner will receive a $25 gift certificate to shop at Ellen Hutson!! 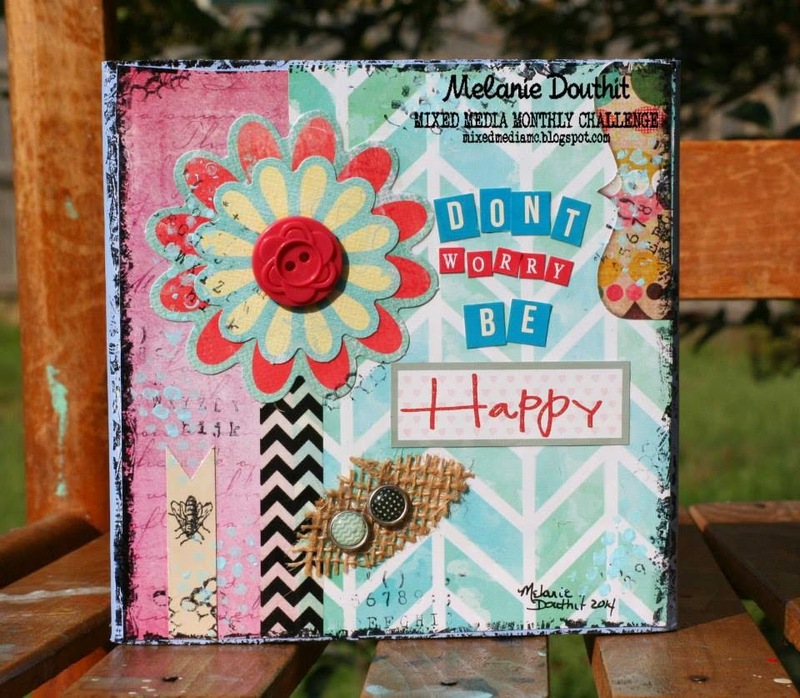 Click for our September Challenge Post. 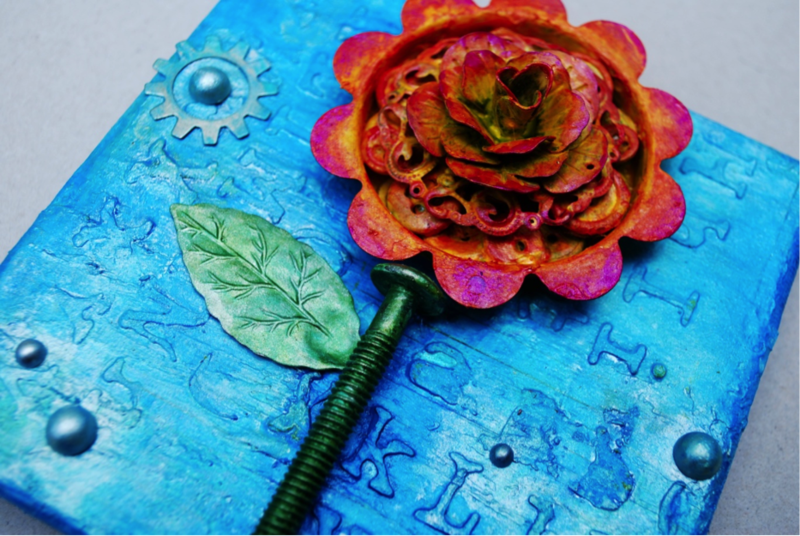 It's time to announce the winners from our August Color challenge! It wasn't easy to pick from all our wonderful entries. We were blown away by all the amazing entries we had in our August Gallery. Please take some time to peruse our August Gallery, I know you will be so inspired. Now, onto the winners of our August Challenge. 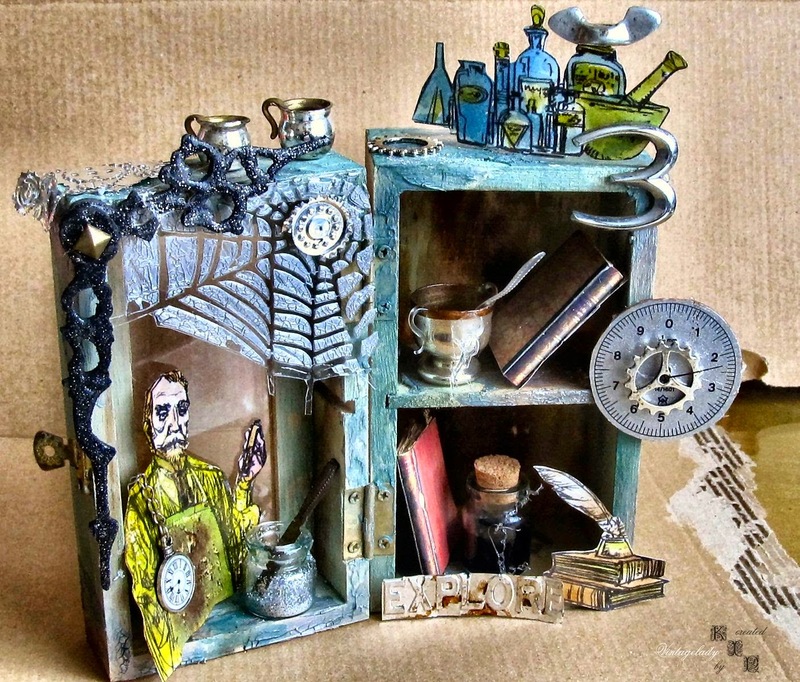 And, finally, our random winner who will get a $25 gift certificate to Eclectic Paperie Please e-mail mixedmediamonthly@gmail.com to get your prize. Congratulations to ALL our winners. We hope you will all join us for our September Challenge. 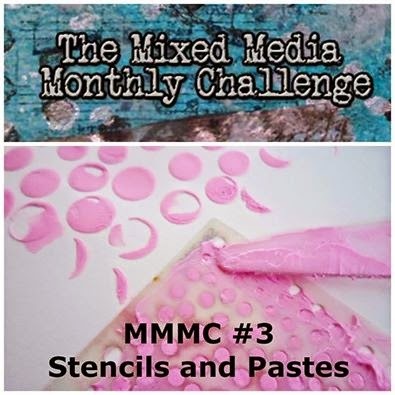 Welcome to the Mixed Media Monthly Challenge #4 - Color Challenge! We want you to be inspired by the colors in this photo. Feel free to use as many or as few colors as you like. 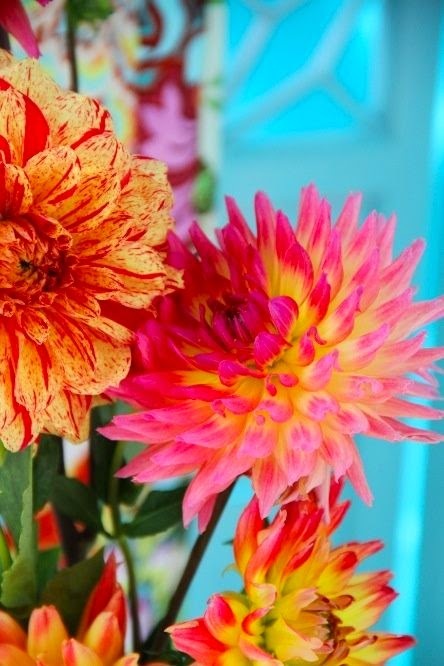 Just be sure to mention in your post how your project reflects the inspiration photo colors. We are thrilled to have you with us for our fourth challenge!! We are so lucky that the awesome store Ellen Hutson is sponsoring our challenge this month. They are generously offering a $25 gift card for our Random Winner!! "Ellen Hutson LLC was established in November 2006 and is currently located in Issaquah, WA. 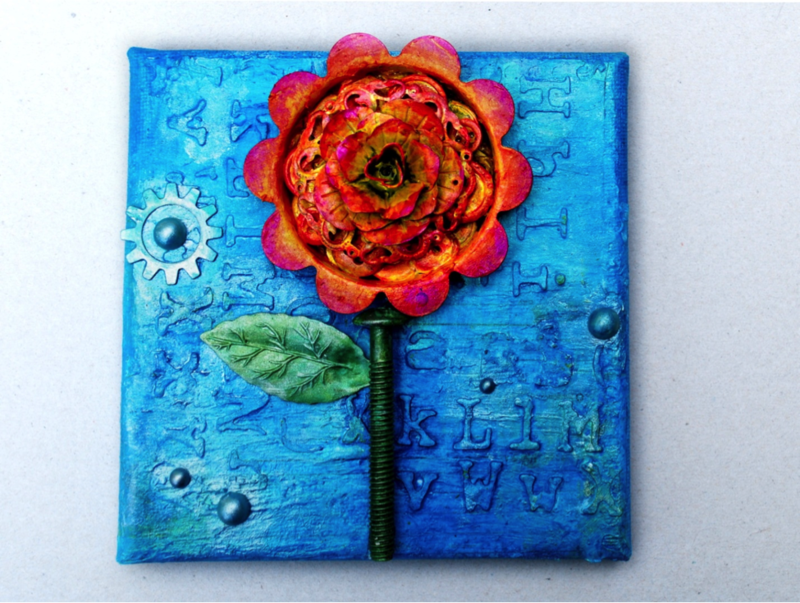 We are an on-line retail store that caters to the needs of paper craft artists. 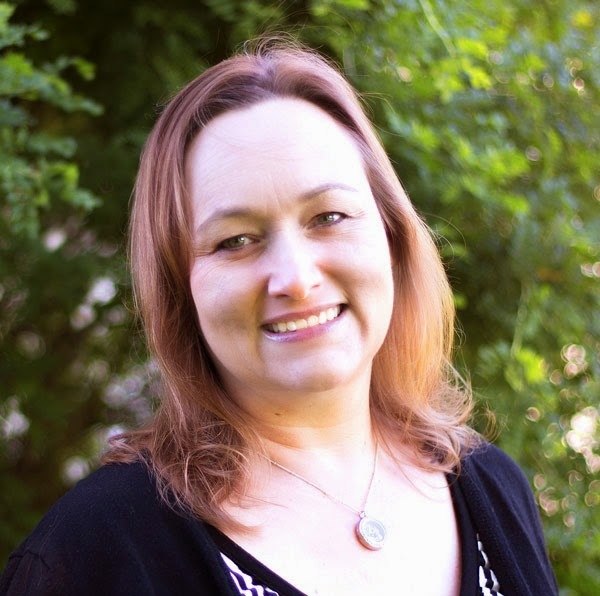 Ellen Hutson, LLC is always looking to provide our customers with quality products, excellent customer service, and education and inspiration for each of the products we carry." 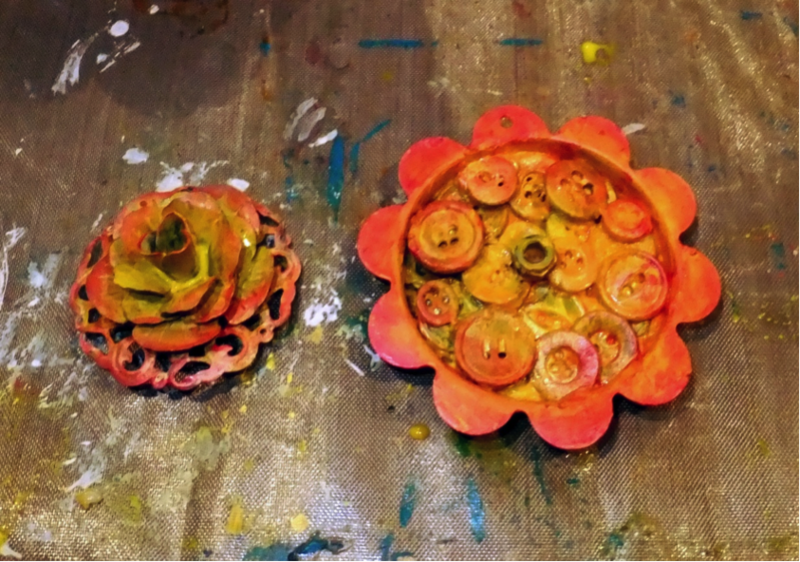 When I started my project, I honestly didn’t know exactly what it would look like at the end, but I knew I somehow wanted to re-create a flower from bits and pieces, and make it yellow and pink. 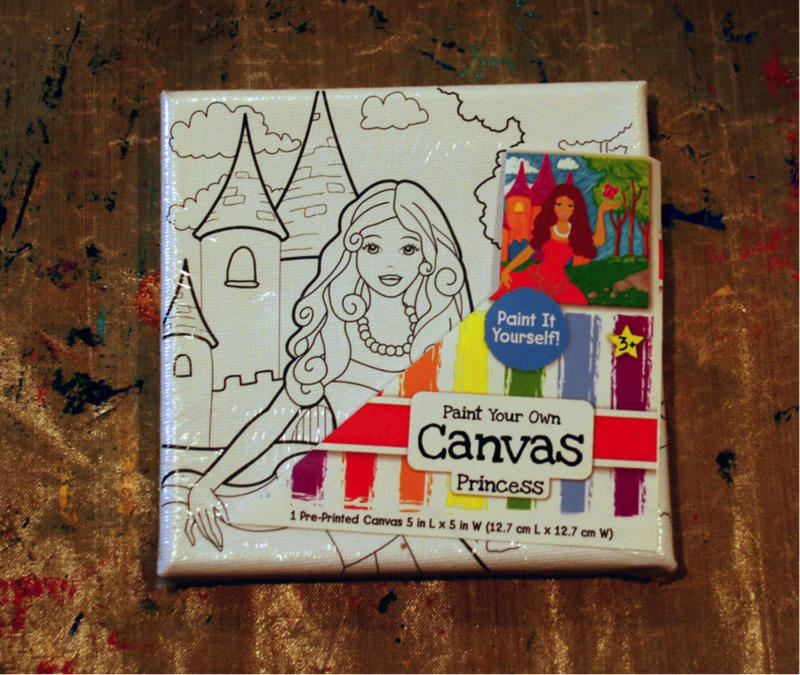 I didn’t want that princess showing through (as cute as she is), so I covered it with notebook paper from an old planner using gel medium. 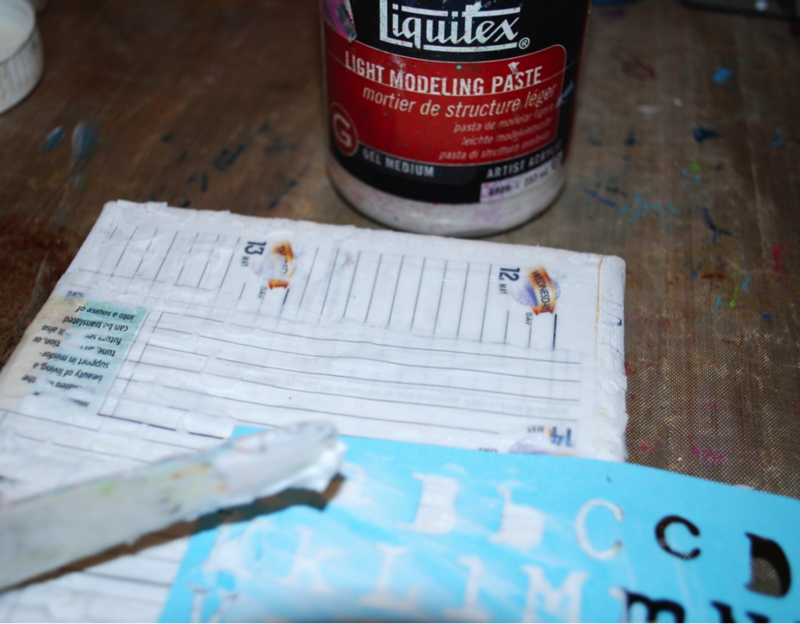 Next, I took a page from last month’s challenge, to use modeling paste through a stencil. I actually used the “waste” from my Big Shot alphabet diecut. 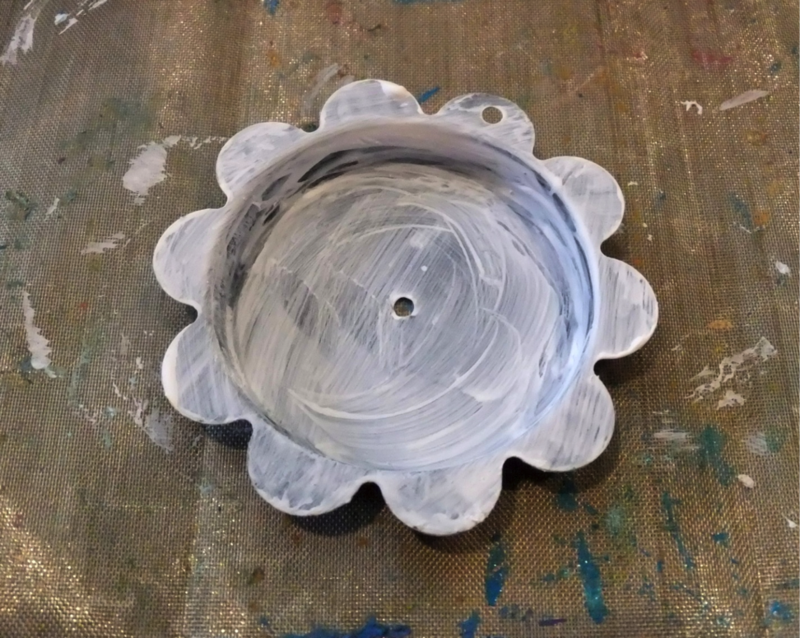 I love using things like that, because I don’t have to worry about cleaning off the stencil afterward—can you tell I like to make a mess? At this point, I covered it with a lot of blue. 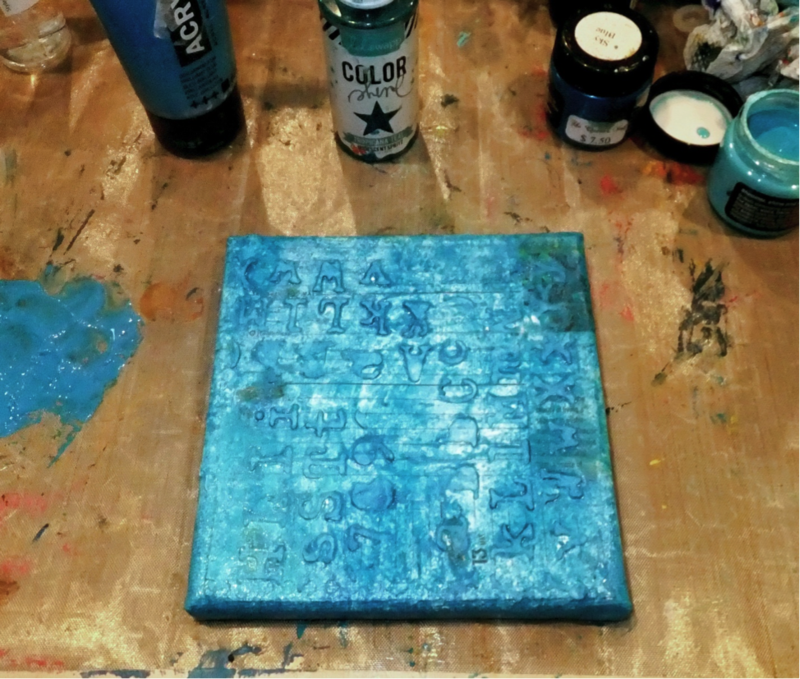 I tried to vary the shades of blue using different paints and sprays, but honestly it all kind of blended together. That’s ok, though, I like how vibrant it is, and at this point you can start to see the background texture showing. Then I painted it yellow (not shown). 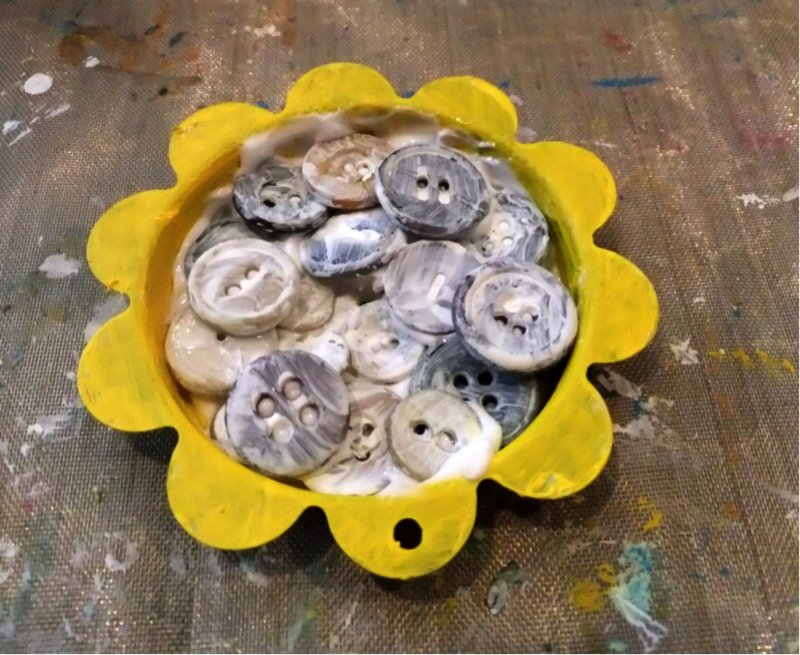 I gessoed the buttons before gluing them inside. 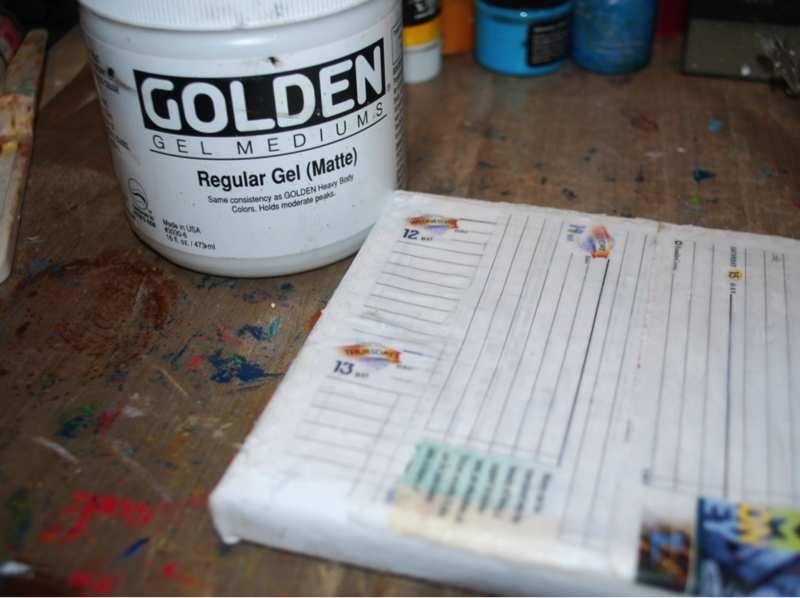 Then I painted and sprayed with a variety of media to get the two-toned appearance. Finally I put it all together and I love the happy end result! I hope you get inspired as well. You don’t have to use the exact colors, you don’t have to use flowers, but you do have to somehow use this photo for inspiration. If it’s not immediately apparent, just explain a little bit how you were inspired by it! Thanks for looking! 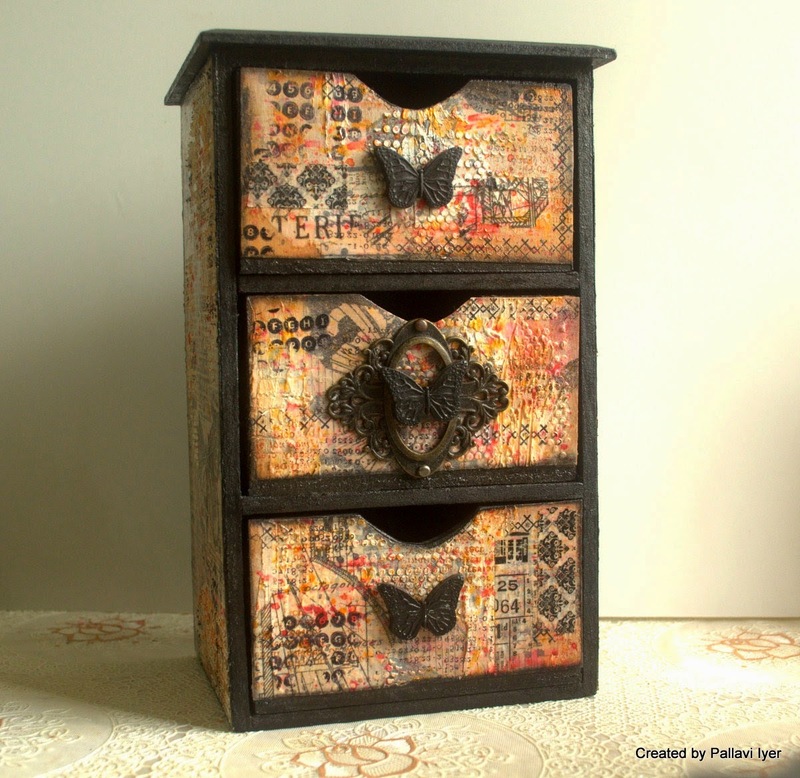 We are also excited to introduce our September Guest Designer - Julia Stainton!! 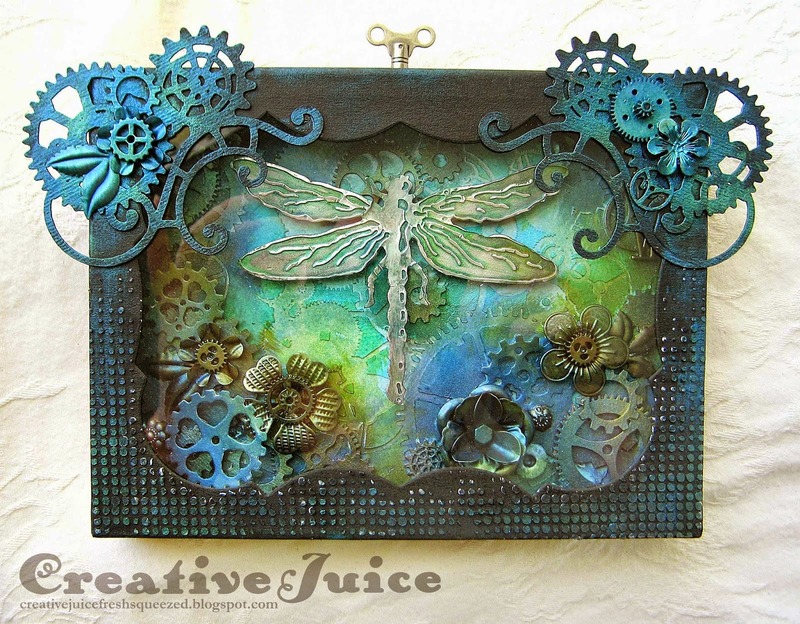 Julia is an amazing paper crafter who is also on the Ellen Hutson Design Team. 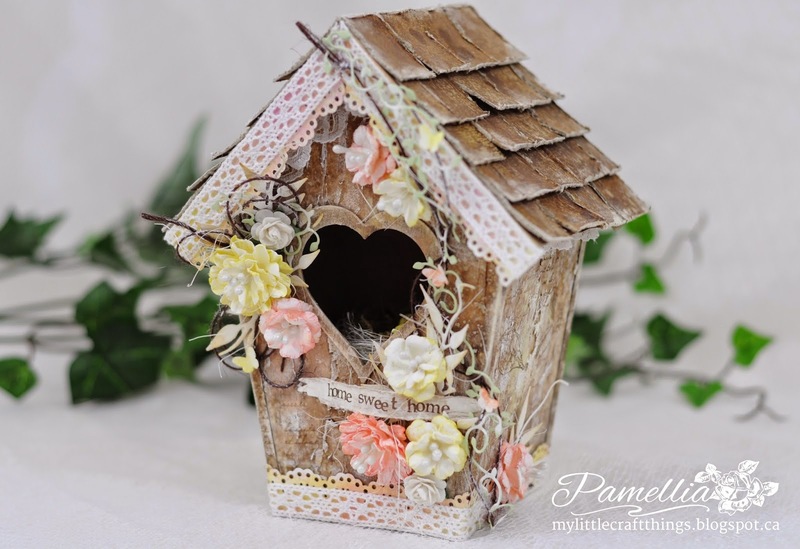 Hi I’m Julia Stainton and I’m thrilled to be guest designing for the Mixed Media Monthly Challenge. 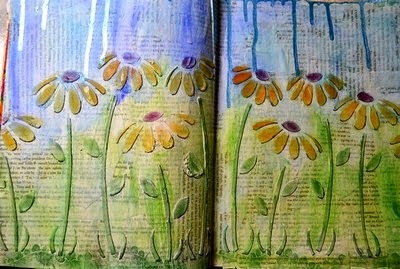 I love paint and ink and layers and just having fun getting messy. My family and I live in Ontario Canada. Hubby and I will be celebrating 25 years next month. Our five kids and one dog mean there’s never a dull moment. 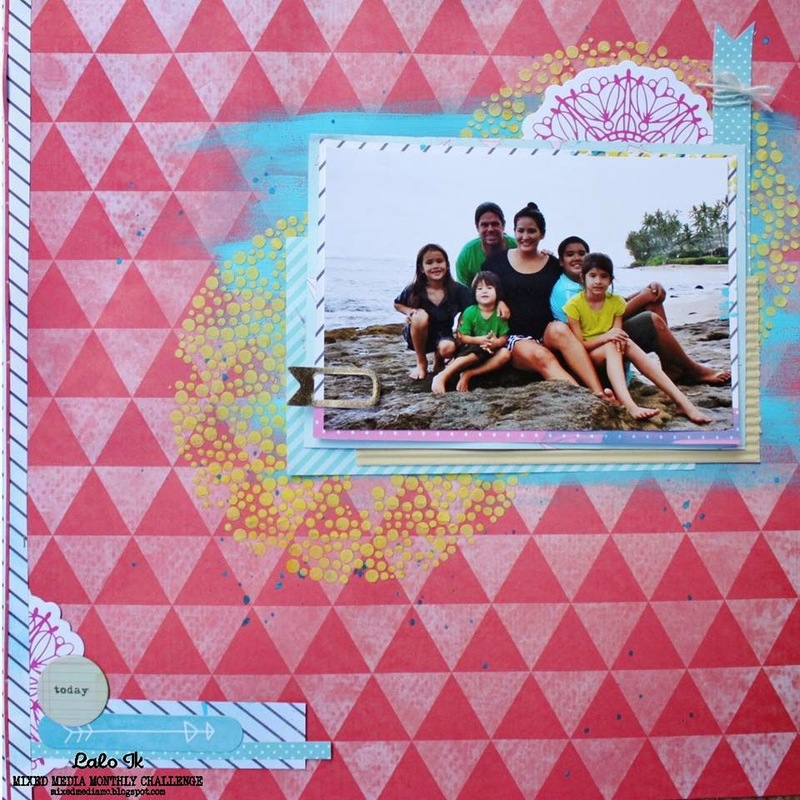 I’ve been paper crafting for over 15 years now and been freelance designing since 2007. 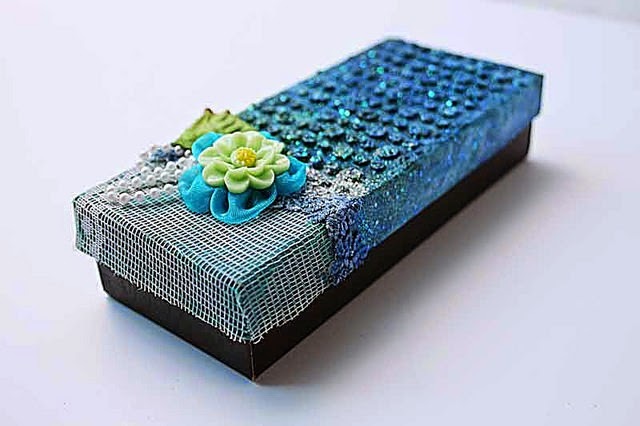 I love being part of the Maya Road, Ellen Hutson LLC, Spellbinders and Case Study Challenge Design Teams. In my spare time I love to read, knit, and spend time with my family. Now more inspiration from our amazing Design Team! We don't have many rules, but ask that you do follow the ones we have! *You can combine with as many other challenges as you want.